Drivers around New Orleans and Harvey, LA, know that they are supposed to change the oil in their Volkswagen on a regular basis, but that doesn’t mean they completely understand why. For those unfamiliar with what the oil does, it lubricates all the moving components in your engine. Because of this function, the oil is essentially responsible for making sure that your engine works as it was designed to. When you change your oil, your engine becomes more efficient and lasts longer, saving you money every time you stop at the pump and over time, since you have to make fewer repairs. Many Louisiana drivers choose to change the oil in their Volkswagens themselves, and this is fine in most cases. As long as you understand the process and know how to choose the right synthetic or conventional oil, you can do it yourself. You will, however, be missing the important advantages of having a professional trained to work with Volkswagens looking at your vehicle. These trained technicians will be able to spot any issues with your vehicle, including those that the average person would typically overlook. Additionally, if you don’t change the oil yourself, you don’t have to worry about finding a pan or container to drain the old oil into and won’t have to deal with cleaning up a greasy mess if you spill. Most Gretna and Mandeville drivers simply find it more convenient to leave this task to the professionals and get the added benefit of having them inspect their vehicle. The process also goes much more smoothly when done by a professional. 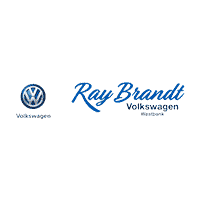 At Ray Brandt Volkswagen, we always use the best high-quality oil for your particular Volkswagen model so your engine performs at optimum efficiency and you can go longer between oil changes. Visit our Harvey, LA, service center today or make an appointment online now to take care of your VW.